Tony Hawk needed the PlayStation. It wasn’t for the release of his self-titled video game series that the brand name of Tony Hawk would turn into a household name with skateboard enthusiasts all over the world. Today, things look different. In a world where smartphones and tablets have taken over computer and video games fa ce a long-term demise. When Mr Hawk was able to spike his fame with guest appearances in TV shows like Jackass then this type of marketing becomes more and more old-fashioned. Today more than ever, the “middle man” of TV shows, commercials and video games is becoming meaningless. In 2016, you have to be able to address the masses directly. If you can’t – you fail. 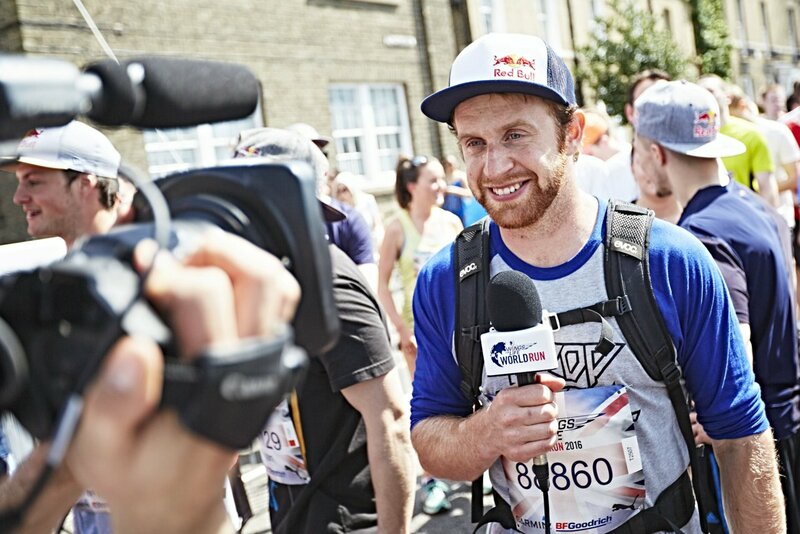 One man adressing the masses directly is professional cyclist Danny MacAskill. “I think I just got lucky,” says the 30-year-old Scot whose rise to fame began with but one video he released on YouTube in 2009. Fast forward 5 years later and his other videos titled “Cascadia” or “The Ridge” rake in viewers by the (double-digit) millions. 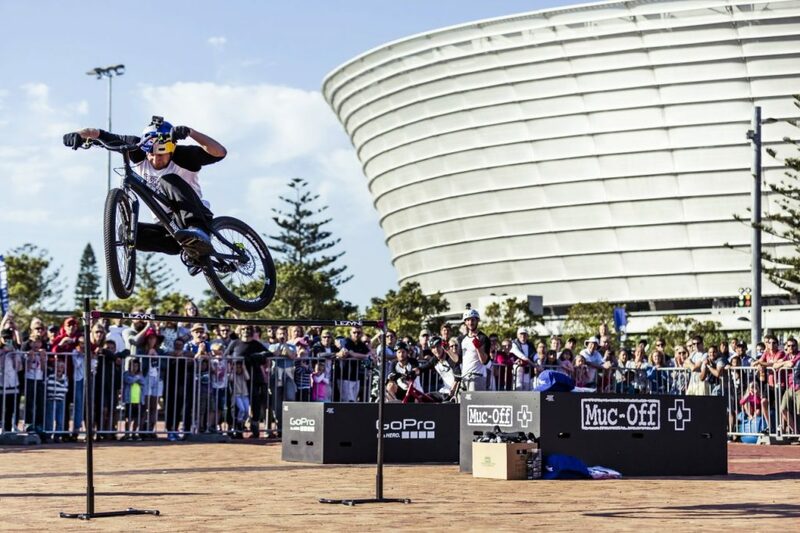 By today, Danny MacAskill is performing in bike shows all over the world. An interesting career that started off with interest received over YouTube almost exclusively. Where would Danny be if it wasn’t for his discovery through the world’s largest video portal? How do you deal with the inevitable crashes and falls when you cycle along the narrow roof-tops of Gran Canaria? 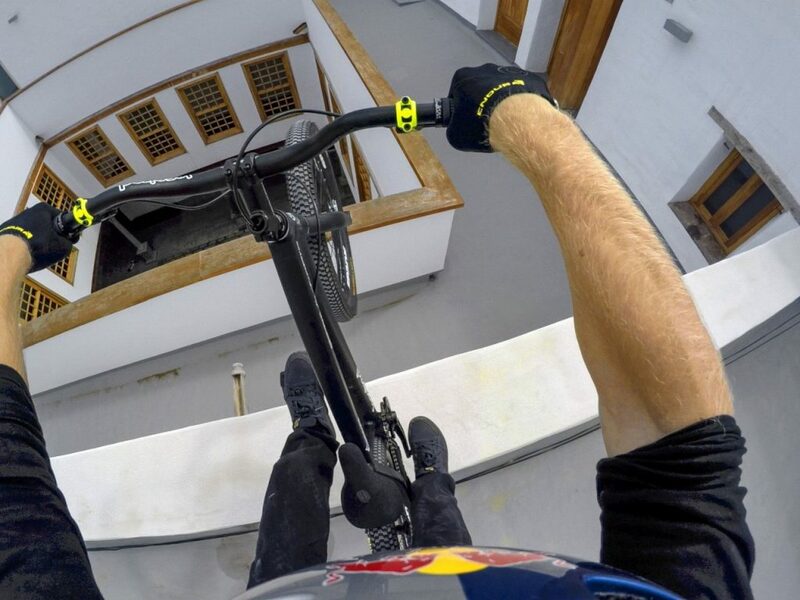 We spoke to Danny MacAskill about YouTube fame, his worst injuries and menoring the new blood in cycling. Danny, you said you are shooting a video today, what is it that you’re up to right now? I’m just working on a new video for Red Bull, my main sponsor, which we’ve been working on all summer. Where is it being shot? Some of it we are shooting back in Scotland, my home country. I do have to say, though, that I tend to keep the projects I work on fairly secret until they come out. Speaking of videos: Your fame skyrocketed with one YouTube video. You are now a professional cyclist who just published his first book. If it wasn’t for that one video — what would you be doing now? Good question. Probably I would still be doing something with bicycles, but as a mechanic. I used to do shows as part of a bike display called The Clan here in Scotland. Also, I was doing mechanical work for the World Downhill World Cup Circuit which allowed me to travel a bit more. I was already making kind of a living from that so I had previous experience with making videos even before I took to YouTube. You were never far from cycling..
No, no, like I said, it would definitely have something to do with bikes, because that’s my main interest in life. Glad to hear that, I was hoping you wouldn’t say you’d be a postman or something like that. Would you agree with saying you owe your career to YouTube? Not really, no. I was doing shows before so I’d say I owe it to just riding bikes. YouTube was more about picking up the bigger sponsors, because that’s something I never really sought out. This was the right move as it allowed me to be a professional rider. So you’re saying things would have happened regardless, one way or the other? Definitely. I’ve been doing something with bikes all my life, so it was almost ‘guaranteed’ to happen. I kind of just got lucky with YouTube. Indeed. We all know about your biggest videos, the ones with the millions of views. But beside all the YouTube-fame, what is your proudest moment so far? I have absolutely no idea. This is a hard one to make, because there are so many surreal moments. It’s hard to pick out one particular moment, even from the last few hours there are so many highlights, and it is hard to think of one to stand out from all the others. I’m not competing or racing or striving to be the best, if you know what I mean, I am just having fun doing what I’m doing. It really is hard to put my finger on the best moment so far. There are millions of them. Shot in Gran Canaria, Spain Danny's "Cascadia" video ranks among the top three of his most popular clips with a proud standing of more than 17M views. So you would say it is the whole thing, that you can make a living from what you love? Well, not even that. Of course, it is necessary I make a living out of what I do. And I do feel very lucky to be doing that, But I’m not really any happier than when I was working in the bike shop. The cool thing for me at the moment is just being able to dream up, to be able to think big. I’m lucky to get the support of both sponsors and friends, and to be able to go ahead and have these more ’out there’ ideas, and then make them come alive. 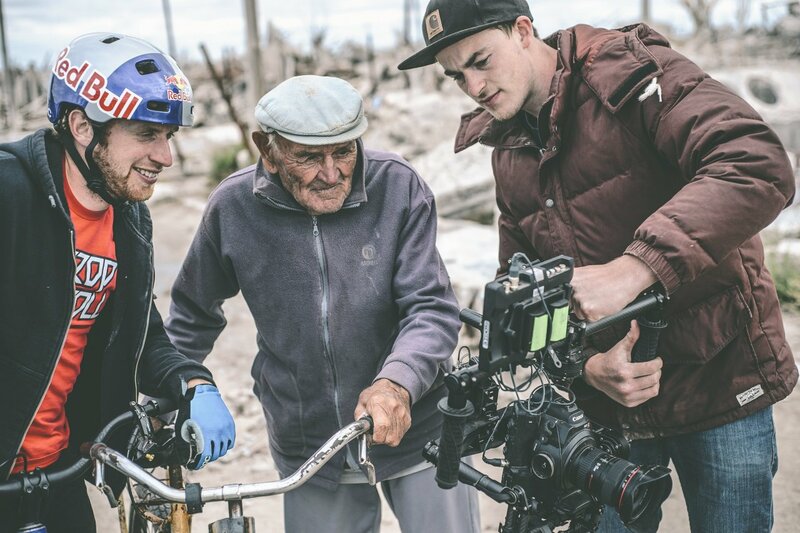 I was always working with friends, and I while I do projects with Red Bull and GoPro I am also filming with friends that I’ve been riding with for years. It’s definitely more like a team effort. Moving back a bit more into your past, growing up on the Isle of Skye, what was your inspiration to get into cycling? 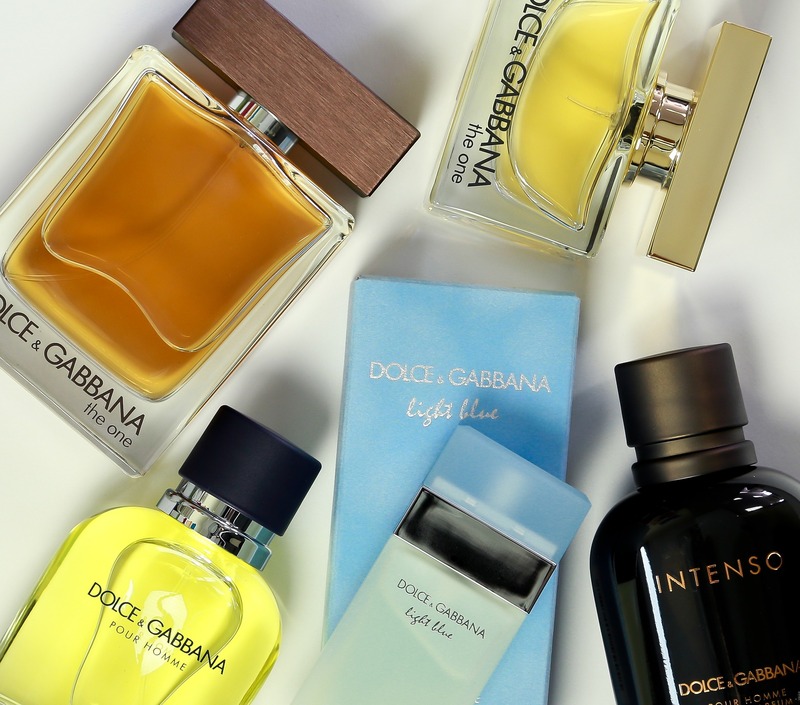 What got you into it in the first place? D was just always into bikes. When I was younger I just had a lot of energy so I would be climbing the trees in the garden, climbing on my house, building swings, jumping in the river, you know, just the usual stuff you do. Living in a rural area like Skye, the bike was always something that I just really enjoyed doing ever since I first started riding a bicycle. I was trying to do wheelies, and building small jumps, just the kind of stuff any kid does, and I just sort of got into it. With time I started trying to do longer wheelies, bigger skids, and I kind of stuck out. Some of my friends got into motorbikes and cars while in their teens, and I simply stuck with riding. Not because I wanted to be a professional, I just enjoyed doing it back then just as I do today. Yes, you can often just end up doing what your friends are doing. But I was lucky because all my friends were riding. And although most of them stopped at certain ages, it was what I really wanted to do. When I left school I started to work in a bike shop as a mechanic. I was just glued to anything that had to do with bikes. Some of Danny's most successful videos were shot in his home town of Skye, Scotland. This one is called "The Ridge", showing Danny cycling along Scotland's notorious Cuillin Ridgeline. Let’s go over to the not-so-nice bits in your career. What was your heaviest fall or your worst injury so far? Because I know you had quite a few. I’ve had a few, indeed. But cycling – not racing – is kind of a slow-paced sport. It’s basically just the jumps that may cause you trouble. When you have a big jump you have to stay on your feet. But when I go and ride mountain bikes then yes, having a crash there you tend to have a few more visits to the hospital. Even still, it is hard to put my finger on one particular crash that was the worst. My most long-term and most frustrating injury ever has to be a torn disc in my lower back which I got in 2009. I can’t really remember doing it, because it wasn’t like a sudden impact or a heavy crash or anything like that, it just happened. Also, I broke my collarbone two times in a row which made the bone’s core weak. And then my back started giving me pain, and that kind of bothered me for two and a half years before I got it diagnosed properly. I had an operation which kept me off for another year, and that kind of gives me problems to this day. But it is manageable, I don’t have to take any painkillers like I used to. I used to take painkillers all the time, but more recently I don’t have to take any. In a twisted way, would you say one gets used to getting injured, almost like it was part of the job description? Oh yes (laughs). But injuries are part of any sport, whether you’re running or playing tennis. Obviously, on the more extreme side of sports as with bikes, crashing is part of progressing. You can limit the consequences of crashing when practicing in a safer environment, like in foam pits or things like that, but in the end you are aware that it is part and parcel of being a professional rider. How demanding is riding physically, apart from getting injured? I’m curious to know how much work goes into performing all these tricks we see in the clips. Do you have to do any other sport beside riding, like running or exercising? What do you do to keep yourself fit? Right now I’m actually doing no cross-training other than riding my mountain bike. But that’s not for training, I just ride it. For example, when we’re out filming, I just ride my mountain bike for fun. And if I’m not doing shows or filming, I just ride every day I can. If I’m injured and not able to ride, from a broken bone or whatever, and I’m recovering, that’s the time I go to the gym and do all my physiotherapy. As I’m not competing against other people, and as I can only jump so far riding is more about creativity, like in inventing new tricks, rather than being fit. 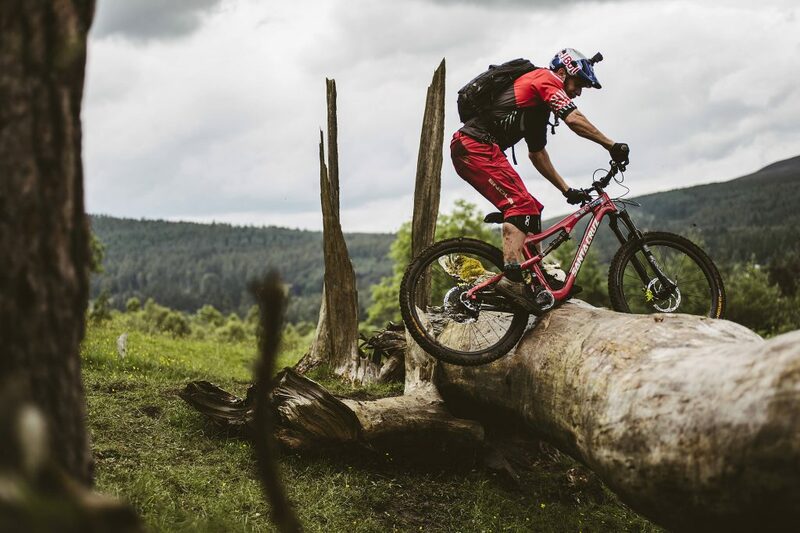 On the more extreme side of sports crashing is part of progressing. So you keep fit by just riding your bike? Yes, exactly. And I’m lucky, and have always been lucky that what I’m doing keeps me fit. So I never consider any of my riding training, it’s just like playing a game for me. I go out to ride for hours and come back to my flat completely knackered, but I never consider it exercise. I’m lucky that way, it’s a lot of fun. 45+ million views on YouTube, publishing a book – what will be your next big move? Of course, anything that you can tell us at the moment. This is a tricky one, I don’t really know. I just turned 30 this year and some of my heroes, like Hans Rey, are still a professional rider at – I think he’s 52 now. I’ve got lots of ideas and I really enjoy that I can come up with an idea for a video that appeals to the mountain bike world, but that also has a broader appeal. What I’m trying to do is to keep my core audience happy, but then also come up with ideas that I can manage to branch out with. I have already been doing something like that with some of my friends. Together we formed a group we called Drop And Roll, and today we’re doing bike shows all over Europe. And then, I would like to potentially help out other riders or other athletes and maybe to do some video projects. When you’re a competing athlete obviously your focus is being on the podium, you want to be on the top spot. But I’ve been lucky that there is this other world of video making, more on the creative side, which adds more string to your bow than just being an athlete. It adds a new end to the sport. Everything gets a broader appeal, a different audience. So I’d quite like to collaborate with some other athletes in the future, maybe working as a director or a producer. I think that would be a lot of fun. That sounds nice, kind of transitioning onto mentoring, moving on to the other side of the camera. Mentoring sounds a lot like what I’d like to be doing. I’ve gained a lot of experience in the last years with these videos, on what works and what doesn’t. Also, what we’re doing is not necessarily playing by the rules. Some of the videos we are making are far too long to go viral, the intros are far too long or they’re quite slow-paced. With every video I try to do something new or take some risk. Some things just work better than others, my friends help me a lot with new concepts, to see if it works or not. Can you ever imagine hanging up your bike, calling it a day and going away to do something else? Unless I’m forced to, I cannot imagine I’m going to say that I will retire from what I’m doing. Especially because I’m not competing. There’s obviously going to be younger riders that are coming through, who are going to be surpassing what I’m doing. We’ve got a mountain bike rider on our team, Fabio Wibner from Austria, who’s my next up and the greatest talent in the riding world at the moment. But I think it has a lot to do with ideas and how to actually follow through with those ideas. You can have all the ideas in the world, but if they are not actually on film or on whatever you’re doing then they are lost. So I quite enjoy what I’m doing, and there’s a lot of different paths I can take on in the future. 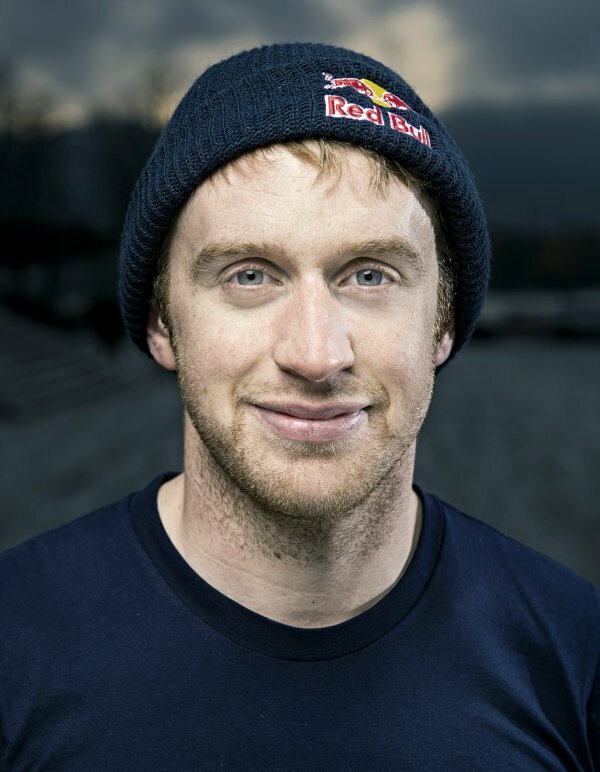 Born in Skye, Scotland Danny MacAskill published a YouTube in 2009 that spread across social media like wildfire. With a total count of more than 90 million views it were his immensely popular cycling videos that allowed him to persue a career as a professional cyclist.